Kidane* was tortured while serving in the Eritrean military. The beatings were so damaging, he could no longer work. He escaped to the refugee camps in northern Ethiopia, where at first he isolated himself, staying away from others, alone with his shame and dark thoughts. But he found rehabilitative care at CVT Ethiopia, and today he is committed to helping others rebuild their lives after torture. Kidane said, “I watch for others in the camp who are living behind closed doors or who think that CVT is for the ‘insane.’” He tells them to go to CVT. 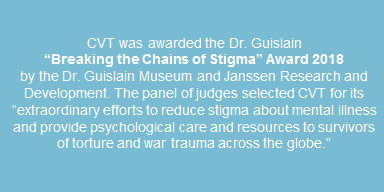 Because Kidane’s word is a testimonial to the life-changing effects of psychological care, his efforts reduce stigma and support the outreach work done by CVT clinicians, as well as the trauma-informed care, processes and logistics built into all our programs. And, horrifyingly, torture is used to control wide communities of people, not only individuals. To do this, torturers use tactics that spread shame and stigma. Paul noted that torturers take steps to “make it bad enough, deep enough, so people have to deal with shame on an on-going basis.” This causes silence. This creates control. At CVT, the set-up of each of our centers is based on everything we know about torture and about reducing stigma. This takes many forms, including placing our centers in the kinds of structures used as homes in a particular location. 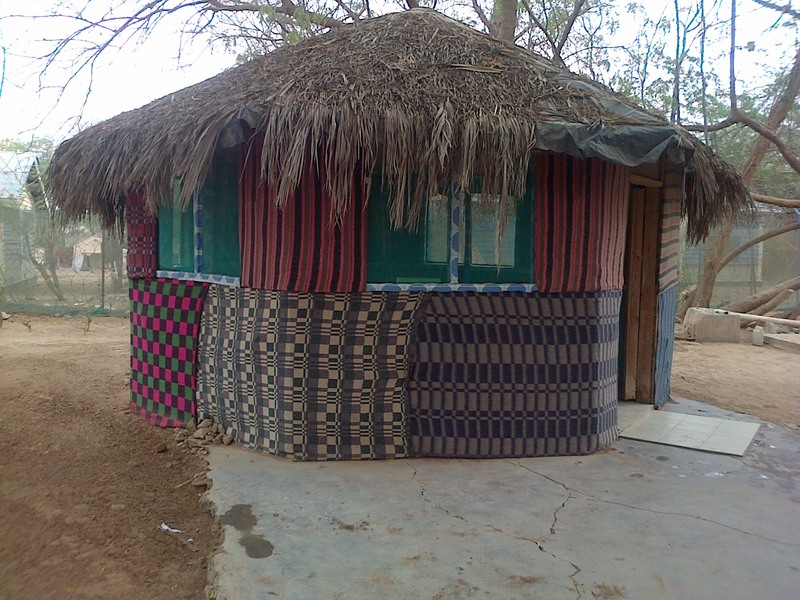 For example, in Uganda and the refugee camps in Dadaab, Kenya, and northern Ethiopia, CVT centers are in tukuls. In Nairobi, Atlanta, and Zarqa, Jordan, centers are located in residential neighborhoods, in houses when possible. In St. Paul, a Victorian-style home was converted to become a warm, welcoming and non-institutional setting for clients. This can normalize the situation for survivors and help them feel safe. Some sensitization events incorporate dramatization to help clarify and normalize the feelings survivors are experiencing. “Some have a lot of fear,” Paul said. “They may not have good language to describe what’s going on with them.” To dramatize these situations, psychosocial counselors will do role-play in front of the group, perhaps taking the role of a man who’s struggling with post-traumatic stress disorder (PTSD). He might speak as if talking to a close friend, saying “I don’t sleep, I think about the torture all the time, my thoughts won’t allow me to sleep.” In another scenario, a woman psychosocial counselor may dramatize a situation when a mother is not able to listen to her child; she may act as if she’s pushing a little one away, unable to deal with the child. This helps make the problems clear and accessible. Through parenting classes in St. Cloud, Minneapolis and Nairobi, adults have been able to attend sessions where they were able to speak about what they were experiencing after escaping war and atrocities in other countries. Paul said, “Once people are in, we give them space to talk about their issues.” The classes are about parenting, but trauma-informed curriculum allows clients to apply the learnings to their own experiences. And the sessions are popular. “In Nairobi, the clients don’t want the sessions to end – one group just wanted more,” Paul said. *Name and some details have been changed for confidentiality and security.